The start of this month should mark one thing for discerning gents keen to do their part for the benefit of mankind. 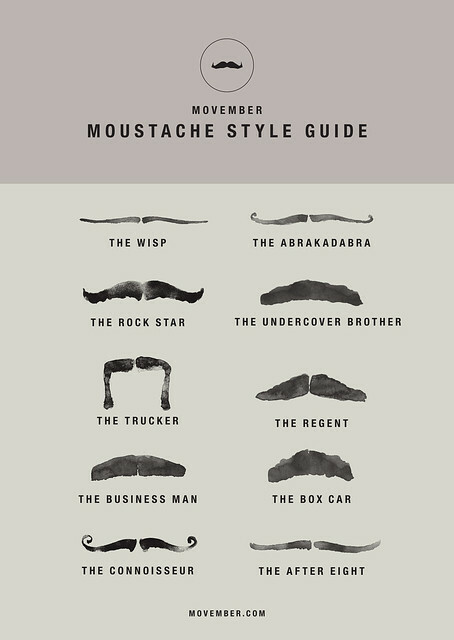 Yes, it’s Movember – the hirsute month formerly known as November to one and all. It’s the campaign that brings awareness to men’s health issues, making it OK for men (and women) to openly discuss things that were previously seen as embarrassing or stigmatised. All that changes with the introduction of the humble moustache – nurtured and cultivated through 30 days of growth. As the ‘tache becomes more prominent, so does the owner and his regard for the badge of honour worn on his face. Every time he is questioned he explains its relevance and growing significance in the quest to help make it easier for men to talk about what worries them most. This man helps others. You want to, and need to, be that man this month. So, how does the discerning gent get involved this month? The beauty lies in its simplicity. Just allow yourself a clean shave at the start of the month and let your moustache flourish. Beards are strictly a no-go zone so you’re going to employ that shaver through the coming weeks – just don’t touch the ‘tache. Along with growing a mo and getting sponsored for your efforts you could host and event or get active by setting yourself a physical challenge – a run, cycle, swim or walk – it’s totally up to you, just make sure you can raise those all-important sponsorship funds. The theme might be jovial but the significance is crucial – the Movember Foundation has already funded more than 1,200 programmes in prostate cancer, testicular cancer and suicide prevention around the world. It’s these types of initiatives that the humble moustache makes possible. Lots of fun can be had in the crafting of eye-catching moustache designs. The Movember crew has been good enough to create style kits to help you decide on the best shape to finish off the perfect look. Take your pick and have fun, but definitely get involved.